Filter test requires only few minutes. Filter element is not damaged duringthe test. Special knowledge or skills are not required. Clear test result (GO/NO GO). In the brewing, beverage, food and dairy industries effective sterile filtration is an essential part of the production process to prevent contamination, spoilage and product loss. 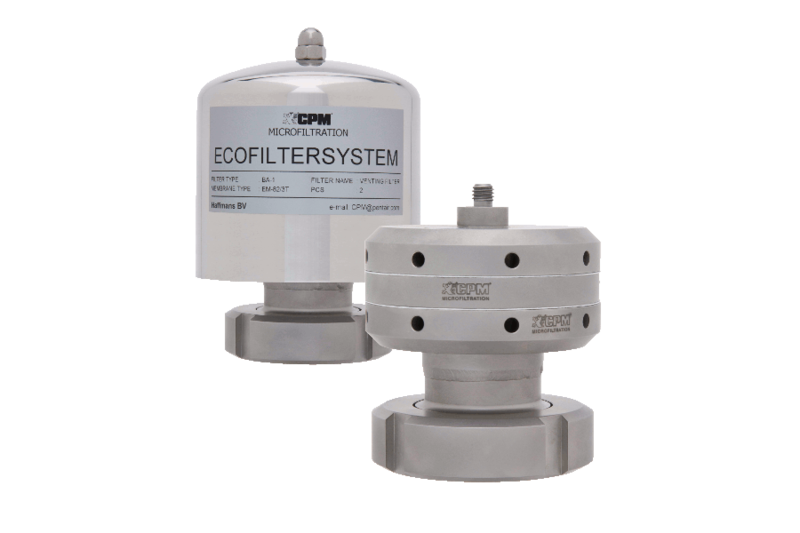 Sterile filtration systems provide 100 percent contamination-free filtration of air, compressed air, carbon dioxide (CO2), and other gases. An equally important operation and quality control element is regular and frequent integrity testing of the microfilter systems. 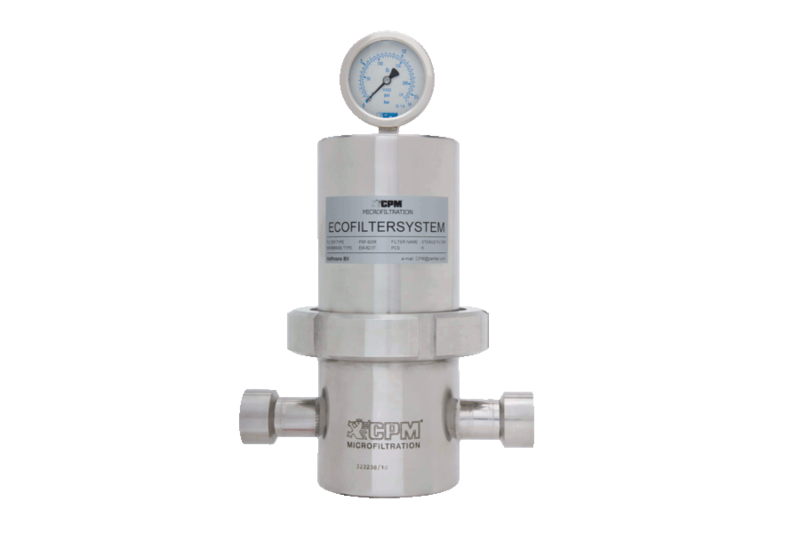 There is often only a small window of opportunity to perform the integrity test due to the availability of replacement filters and/or if the test must be done with the filter in place. For this reason, every integrity test needs to be well planned. This is the case at the German Bitburger brewery group, which has grown to one of the leading German private breweries since its establishment in 1817. “We were looking for a filter testing system that was less time-consuming and laborintensive than conventional testing systems such as the Bubble Point Test,” said Erich Schuster, head of Bitburger’s quality control department. With Pentair Haffmans CPM® Filter Tester, type MK-2, the filter test can be performed in just a few minutes. To simulate microorganisms, a micro-fog or series of smoke-like particles is generated within the filter tester from non-toxic synthetic hydrocarbons. These hydrocarbons form micro-drops of 0.2 to 2.5 μm. This fog is applied under pressure from an integrated compressor to the sterile filter being tested. The fine fog particles quickly penetrate even the smallest leaks in the filter providing immediate visual identification. This procedure does not damage the filter element. The MK-2 can be used in a central or decentralized laboratory as well as in a dry environment that is sufficiently ventilated. “The test system is a practical, easy-to use tool that does not require any special knowledge or skills,” Schuster said. “Moreover, you receive a clear result that does not call for further interpretation. After thoroughly testing the device, we added the MK-2 to the list of approved test equipment. The system has fully met our expectations”. 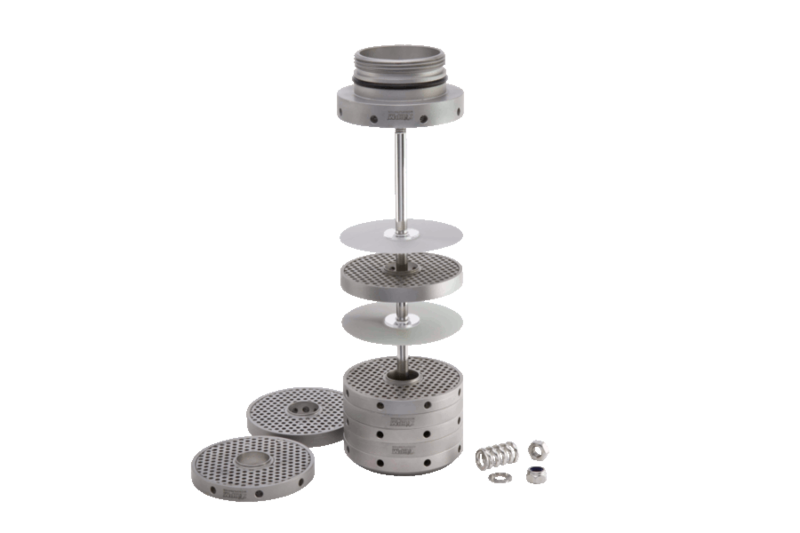 Easy testing of CPM sterile filter elements as well as most conventional filter cartridges, also allows in-line testing.